Looking back at all my outfit posts, I've noticed that I'm always in a skirt or dress! I suppose it's mostly due to summer heat, but even in the winter I don't have nearly as many pants posts as you'd expect! 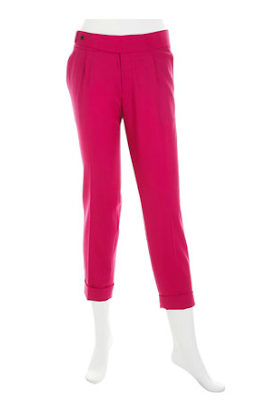 I obviously need more fun pants, like this hot pink Rachel Roy pair, on sale for $185 at Last Call.